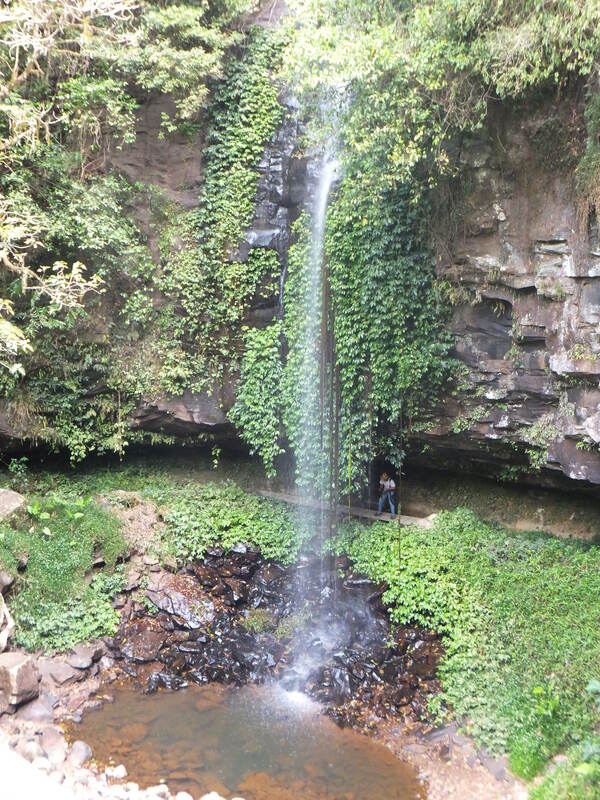 Not far from Hyde’s Creek is the Dorrigo National Park. The road winds up over 1000 metres onto a plateau where there is rich farmland. But on all sides there are steep, mountainous slopes covered in dense temperate rainforest with a huge variety of plants, trees and birds. The trees are very tall so as to reach the light and on the floor there are many of the plants we know more commonly as houseplants. So now we know where they originally come from. There are also lots of vines and palms using the trees to reach the sun or sprawling over the ground in the dappled light. 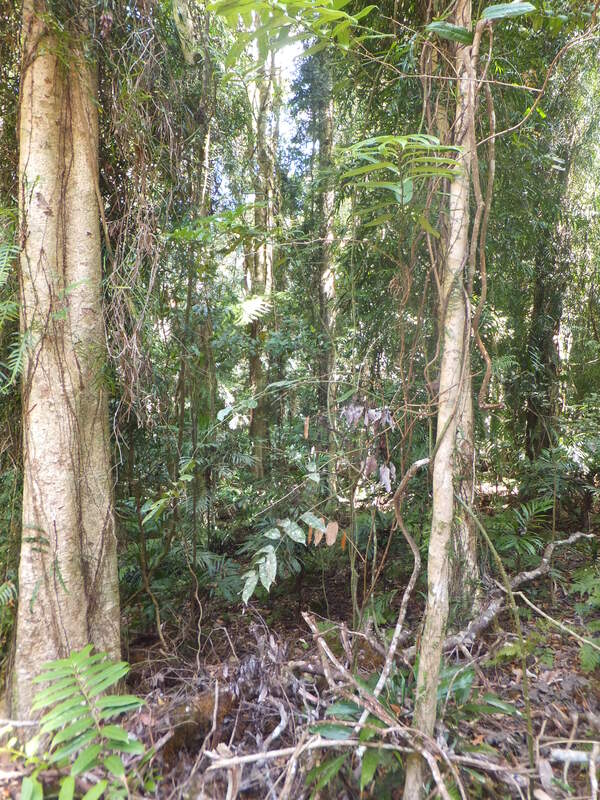 The temperate forest was noticeably cooler and lighter than the tropical forest we explored in Queensland. 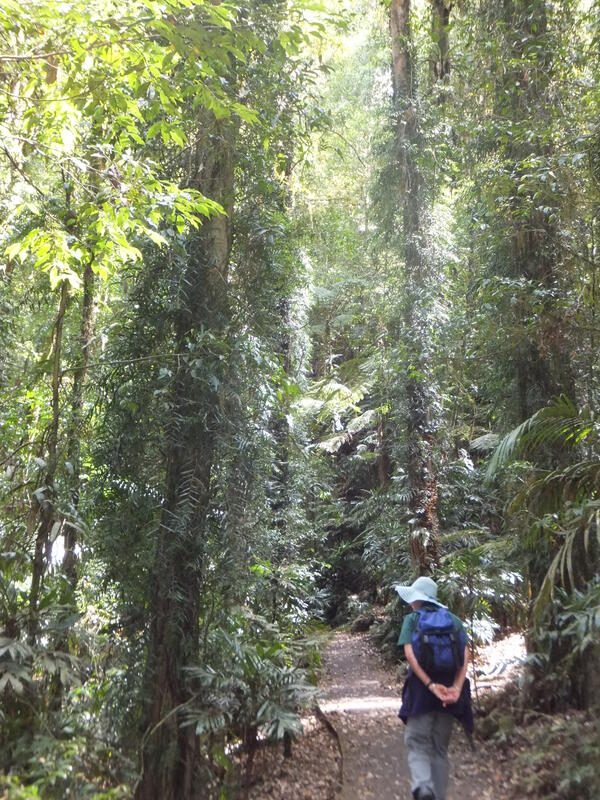 Leaving Chris and Jane to explore the delights of the little town of Dorrigo, we set off along the 6km Wonga Trail, which was easy to follow as the park management have made a bitumen path so as to reduce erosion and discourage walkers from going right into the forest and disturbing the wildlife. Just after we set off we came across a Bush Turkey, which was quite disinclined to move off the path. The main interest in this walk was the profusion of plant life, with information boards along the way pointing out a 440-year-old tree, or warning us of lawyer vines (tiny spines under the leaves and on trailing whips, which don’t let go) or a poisonous tree with huge leaves. We heard birds all around us, especially Whip birds and Cat birds – both names refer to their calls – but sadly saw few. We were entertained by some scrub wrens – yellow-browed and white-throated – flittering around and then busily rootling in the scrub. 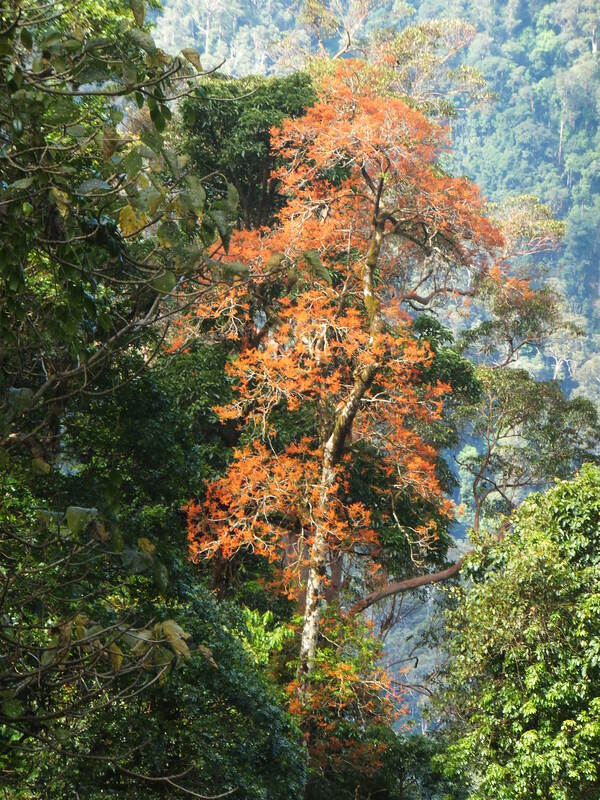 Every now and then the forest opened up showing the surrounding mountains or a flame tree bright in the sunlight. The previous day we had visited the nearby town of Coff’s Harbour, which is quite a pleasant little place, and even has an airport, which means Chris and Jane can fly up rather than facing a 6-hour-plus drive. We had lunch at the Yacht Club – fresh fish, with big fat chips for some of us, and then, leaving Jane comfortably in the shade, set out along Muttonbird Island, which is a long promontory. 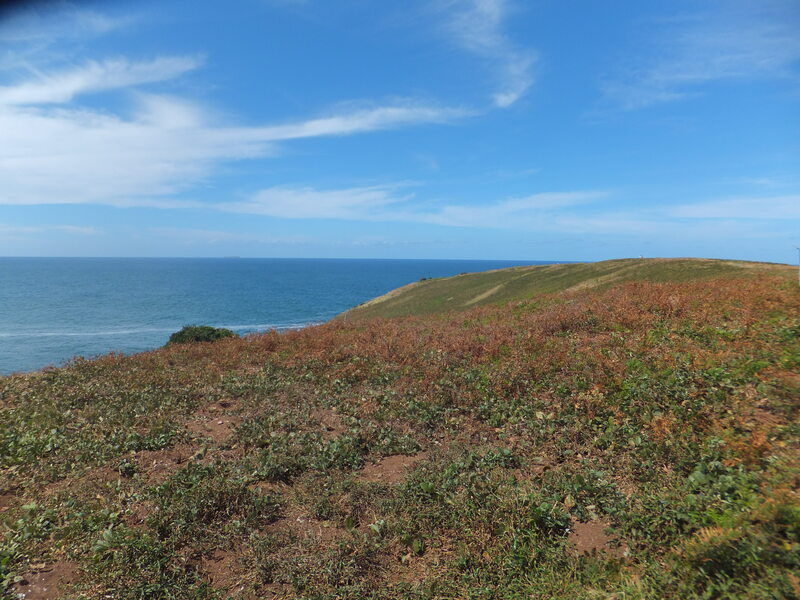 It is a wildlife reserve, where Muttonbirds – Shearwaters – have their burrows and lay their eggs. 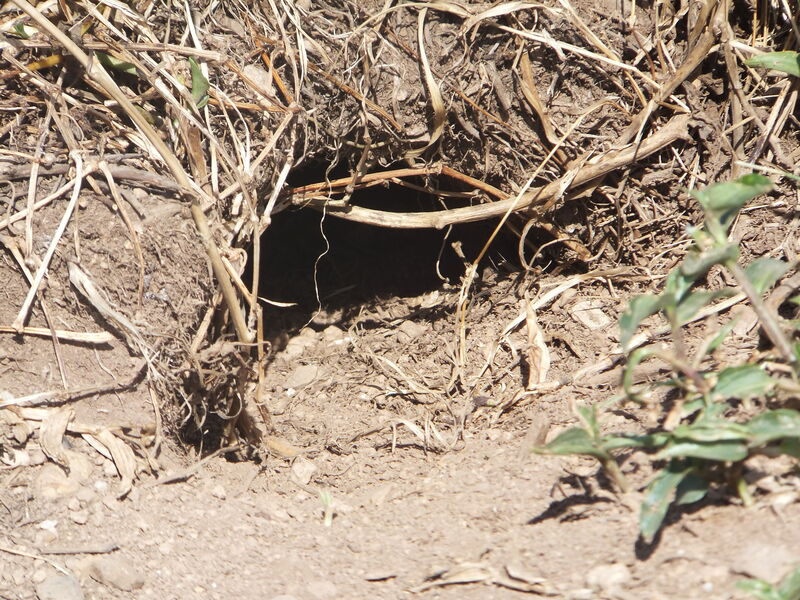 At this time of year they are feeding at sea in the day, pairing, and cleaning out the burrows. We could see where dirt had been scraped and weeds cleared from many of them. We did later on and further along the coast, at Sawtell, see Short-tailed Shearwaters flying round the rocks and skimming over the sea. But the big excitement was when Jane spotted a hump-backed whale out in the ocean. We saw it blow several times, but the best was to watch the huge tail emerging, silver in the sunlight, and slap down on the sea. This was an unexpected bonus, as Jane had seen several from their veranda in Sydney the week before we arrived, and though this is the time of year when they are returning to the Antarctic, we had thought we were too late to see any more. We haven’t seen koalas, though there have been plenty of warning signs. We’ve seen both wallabies and red kangaroos grazing in the fields. But we did get to see another Australian mammal on our last night in Bellingen – as we sat out on the veranda of the excellent restaurant, the sun was setting and all the fruit bats were flapping out, no doubt to launch raids on any un-netted fruit trees. My favourite wild-life notice, though sadly we didn’t get a photo, exhorted us not to spread electric ants in Queensland. Now we are back in Sydney, preparing to move on to Auckland tomorrow, and hoping still to have internet access so as to continue sharing our adventures.